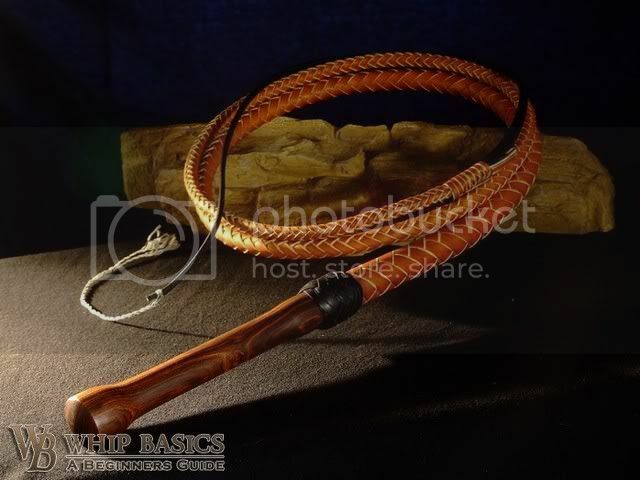 Though this is a blog dedicated to synthetic whips, I would like to highlight a whipmaker in New England who’s cow hide whips are an amazing sight to behold. I haven’t even handled one of his whips, but from what I have seen and heard, these whips must be awesome. The plaiter’s name is Victor “Skip” SanSoucie and he resides in the state of Connecticut. What I really like about Skip’s work is that it is made from latigo and his handles are made of nicely turned exotic woods. Do you know what else is great about his whips? The price! Skip shares the same philosophy about whipmaking as I do: keep it affordable, but don’t skimp on quality! The final thing that I have to mention about Skip is that he’s a really nice guy. As a whipmaker, sometimes you can run into other whipmakers who are egotistical and arrogant, that’s not the case with Skip. He’s been friendly from the very first time I made contact with him; he has even given me some great tips on woodworking this week. I hope to add one of these whips to my collection in the not too distant future. Do yourself a favor, stop by Handmadewhips.com and see what Skip has to offer. 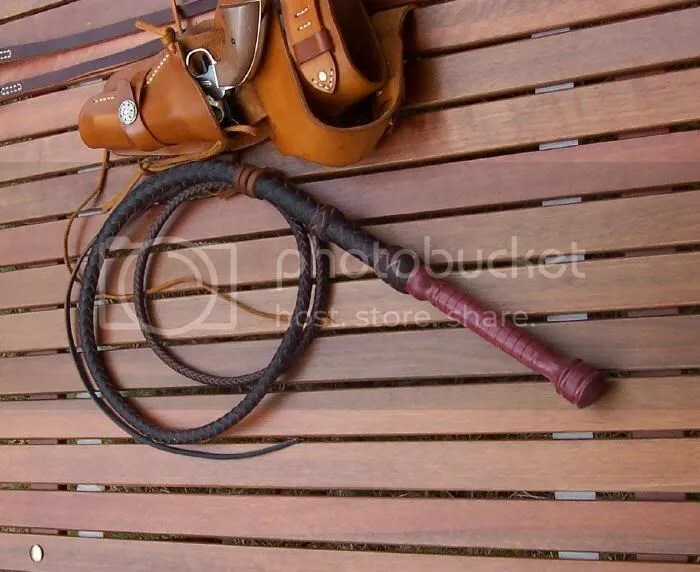 This entry was posted on Saturday, March 7th, 2009 at 8:00 am	and posted in bullwhips, Leather whips. You can follow any responses to this entry through the RSS 2.0 feed. I’ve wanted one of Skip’s pieces ever from the moment I saw the the website a few weeks ago. This post just put me over the edge. I’m gonna go for it before he gets so famous it’s next to impossible to get one.